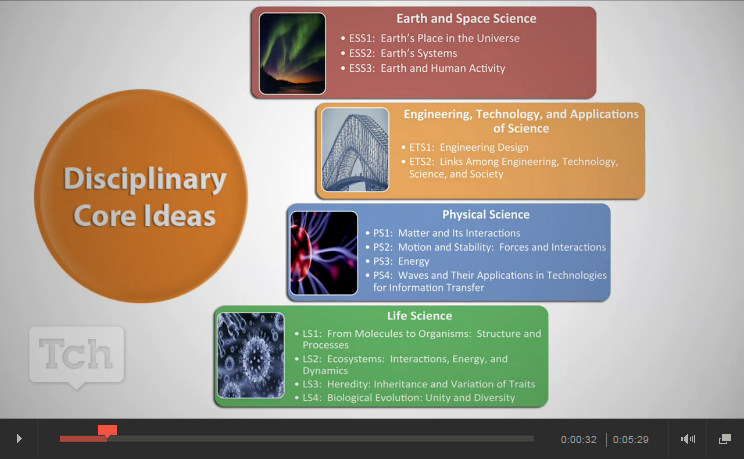 Washington, D.C. – March 12, 2015 – Achieve and Teaching Channel are pleased to announce the launch of four videos that provide an overview of key innovations in the Next Generation Science Standards (NGSS). 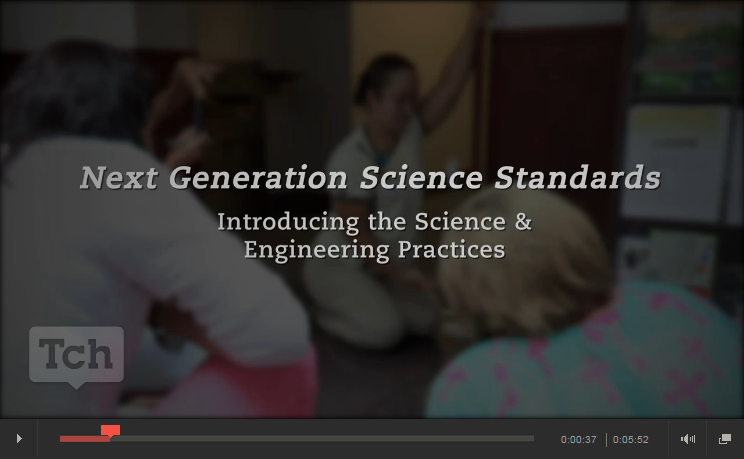 The NGSS are a set of rigorous academic standards (called Performance Expectations) in K-12 science and engineering. The standards were developed through a collaborative state-led process. Twenty-six states volunteered to work with the 40-member writing team to lead the development of the standards. State broad-based committees consisted of representatives from the K-12 education, education policy, scientific, postsecondary education, and informal science communities. Additionally, the draft standards received comments from more than 10,000 individuals during two public review periods. The final standards were released in April 2013, at which point states began reviewing and adopting them in accordance with their individual standards adoption procedures. Achieve is an independent, nonpartisan, nonprofit education reform organization dedicated to working with states to raise academic standards and graduation requirements, improve assessments, and strengthen accountability. For more information about the work of Achieve, visit www.achieve.org. 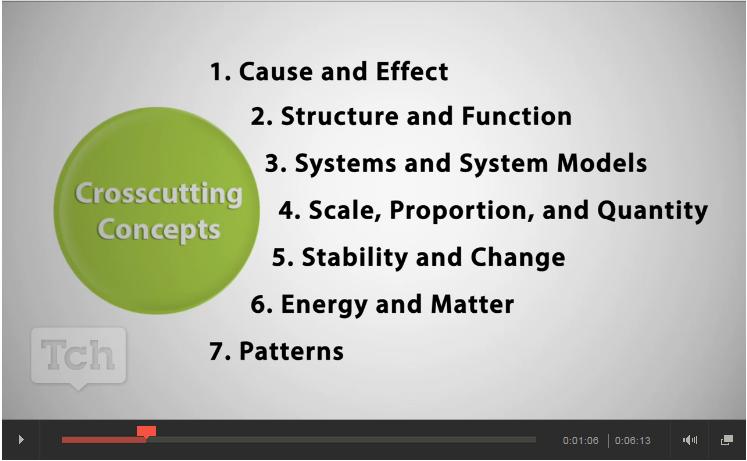 Teaching Channel (Tch) is a thriving online community that is revolutionizing how K–12 teachers can learn and improve. With its best-in-class video library of teacher practice and award-winning website, Tch has emerged as a leading educational resource for its 525,000+ members. 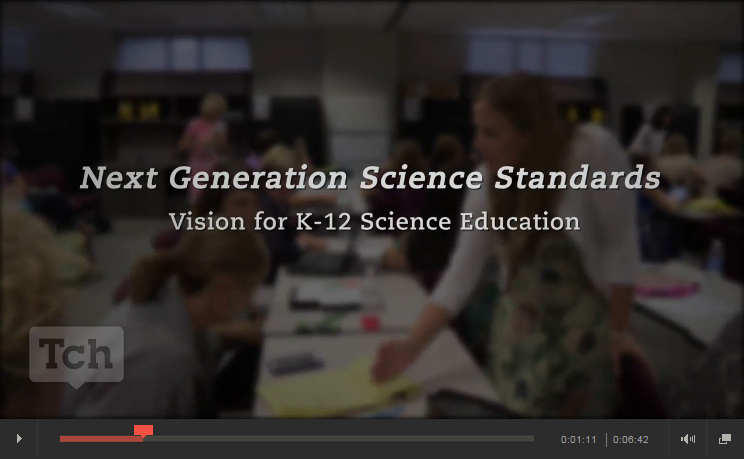 Teaching Channel’s mission is to help teachers grow to improve outcomes for all students. Visit Tch on the Web at TeachingChannel.org, on Facebook, Twitter, and Pinterest.